With the launch of the Xbox One X only a few months away Microsoft needs an interim win to keep people interested in the console that is currently in a very distant second place to Sony. Which is why it is no surprise that Xbox Marketing Manager Aaron Greenberg told GameReactor it was “talking to Sony” about the potential for crossplay between the two consoles. 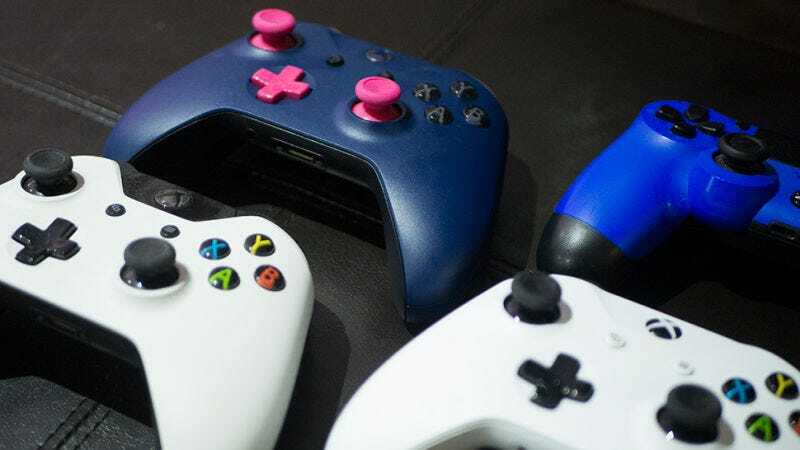 Crossplay is the term applied to allowing gamers to play with other gamers regardless of what console they have chosen to bring into their homes. It’s a kind of holy grail for gamers stuck on the less popular console as they’re often not able to play with friends, and because a small userbase means fewer people to play with in general. With a reported 33 million Xbox Ones sold since launch Microsoft well behind Sony, which claims to have sold 60.4 million PS4s since launch. Given that Microsoft is a little behind, enticing gamers with the tease of potential crossplay makes a lot of sense. Greenberg, who was in Cologne, Germany at Gamescon, the largest gaming convention in Europe, told GameReactor, “It’s a customer first focus and I think that’s where the industry’s going.” He specifically pointed to the ability to play Minecraft across multiple devices, including the Xbox One, iPhone, and Nintendo Switch. Yet it makes very little sense for Sony to join the team and unite all gamers across consoles. That’s because right now it’s the best selling console available and one of the reasons people continue to buy into it is because it’s the de facto choice if a person wants to play games with their friends. Playing nice with the competition simply isn’t in the company’s best interest—while it could be a potential boon for Microsoft.